Is 2019 going to be that year? That year that you stick with your fitness goals and not let those resolutions go by the wayside? It is always great to see how jampacked all the gyms and fitness centers are for the month of January. February starts out well too. By the end of February, into early March, the only ones left are your usual gym rats. What happens? Was it all the valentines candy from sweethearts? One thing that may be going on is biting off more than you can chew. If you have never been in the gym, or it has been a while, you may be setting yourself up for hard times trying to keep up with the gym rats and fitness fanatics. So, simplify! You don't have to be a beast and work out 7 days a week. Start with a few workouts each week. Make them enjoyable yet intense and uncomfortable. You must push yourself outside your comfort zone. However, not so far that you want to give up. The most important thing is to get educated. There are trainers and programs everywhere. Do some research so you can wade through the hype. Get a good training partner that can help you on your fitness journey. Good luck! Make 2019 great! Even if you are new to fitness stuff, go and enjoy all the events and, best of all, enjoy the opportunities to learn. Isn't it crazy how easy it is to get out of shape? Why can't we get in shape just as fast? Sometimes the problem is that we want to be in shape again so bad that we are impatient. One week worth of hard work and no visible change can sometimes get us down and discouraged. Remember, fitness is a life long process. don't expect miraculous progress to determine your success. Strive for daily progress and remember it is not the destination but the journey that we want to enjoy most. Good Luck and keep pushing forward. To stretch or not to stretch. To stretch or not to stretch. That used to be the question. Now the question is: What kind of stretching and when? Basically, there is static stretching and dynamic stretching. The static stretching we used to always do before sports has now been proven to be best utilized post performance. Dynamic stretching should be the pre-performance choice. 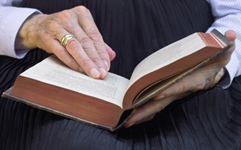 The rule of thumb to remember is warm-up to stretch, do not stretch to warm-up. My experience has shown static stretching is best placed at the end of the workout as part of a cool down. Placed there it serves to restore the muscles to their resting length which will reduce soreness and enhance recovery for the next workout. In dynamic flexibility work there are no sudden movements; the movements are controlled and flowing. Dynamic flexibility work will improve elasticity of muscles and ligaments. It consists of arm swings, leg swings, trunk rotations, reaches and bending to stimulate blood flow and wake up the nervous system. Static stretches should follow dynamic stretches. Static stretching can be counter productive if placed before a workout requiring explosiveness, speed or agility. Immediately following static stretching the muscles are less responsive to stimulation and coordination is thrown off. Static stretches interfere with the activity of tendon reflexes. This underscores the importance of carefully choosing the type of flexibility to be used relative to the type of workout. This is all part of a good plan. 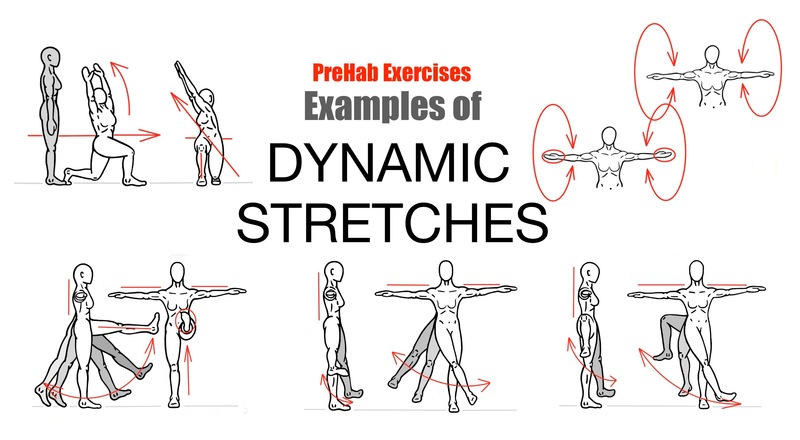 Here is a link to a great article on Static vs. dynamic stretching. It also includes some videos showing some examples of good dynamic movements. Teach a Kid to Lift.